Sandy beach with dock and view of the mountains. Almost new Merrymeeting lake home. 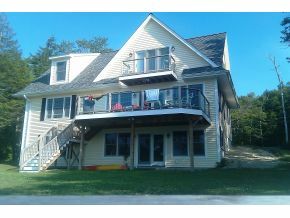 2007 This 3 bedroom 2 bathroom home with sandy beach, a level .38 acre lot on crystal clear Merrymeeting lake is a rare find. Quality construction with hardwood floors, granite countertops and 2236 square feet of current living space with room to expand with a walk-out basement and attic area. Listed by Maxfield Real Estate. 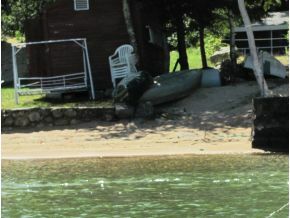 With 105 feet of lakefront owned and your own dock you could be out with your family now enjoying the lake You can snowmobile from the home to Canada on the trail system in place and the lake boast great Salmon and Rainbow trout fishing. For additional information on this home call Lady of the Lake Realty at 1-888-737-5550 or e-mail at info@nhlakesrealty.com or visit our website to view similar lake homes in New Hampshire at www.nhlakesrealty.com or www.lakeorskirealestate.com Contact us today to see if this home is still available? ?